Aches and pains beware with the Hydrangea by Garden Spas! 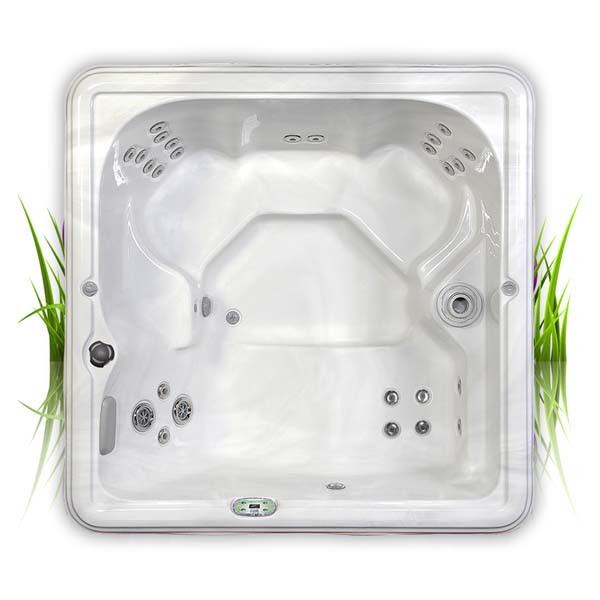 This hydrotherapy hot tub offers relief from those throbbing muscles and stinging nerves, all in an attractive package that will impress every neighbor! Touted as a versatile model because of its 78" x 78" size, the Hydrangea will seat up to four people comfortably, making it a great option for a smaller deck, porch, three-season room or basement. Aiming for an economic size, Garden Spas never sacrificed beauty, features, technology and jets in the design. A total 27 jets will massage the muscles, all easily controlled by a user-friendly digital dashboard. The jets are high powered, accented with rust-resistant stainless steel caps, and the construction, plumbing and insulation are commercial grade. Each Hydrangea boasts several warranties such as a lifetime for the structure and one-year for the surface, plumbing, electrical and cabinet. And the experience is unlike any other hot tub spa on the market, with double-layered ArticPac Insulation for a quiet, relaxing feeling! Contact Family Leisure today and ask about the Hydrangea by Garden Spas! Size 78" x 78' x 32"